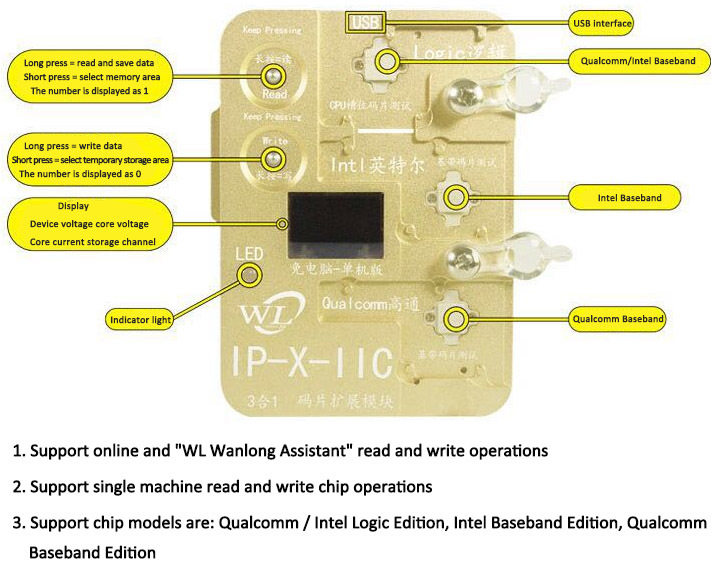 WL Programmer 3 in 1 Intel Qualcomm Baseband Logic EEPROM IC Module For IphoneX. 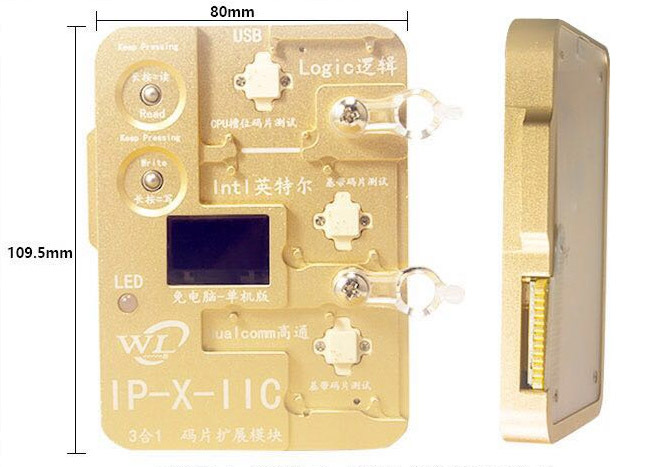 WL Read Write IMEI Tool can settle the problem of baseband 1669, 3, 6. 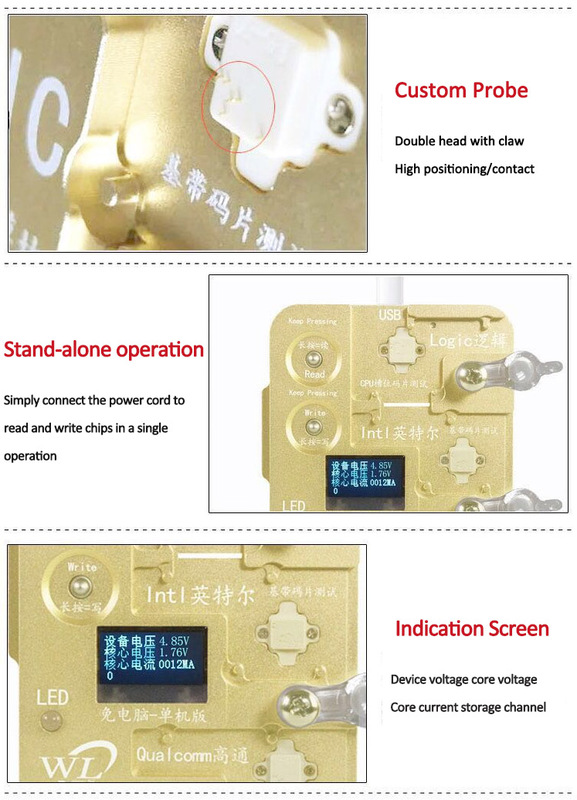 Restore error -1,3,6,16,47,48,1669.